If you want to know how to deadlift with perfect form and get as strong as possible, you want to read this article. The deadlift is one of the single best exercises for building almost every major muscle group in your body, including your back, hamstrings, glutes, quads, and forearms, if you do it correctly. Learning proper deadlift technique boils down to developing a few simple habits and remembering a handful of effective cues. The conventional barbell deadlift is the most common and highly regarded kind of deadlift, but the sumo deadlift, Romanian deadlift, and trap-bar deadlift can be equally effective. If I could do only one exercise for the rest of my life, it would be the barbell deadlift. The deadlift works just about every muscle group you want to develop, from your upper-back muscles down to your calves, and it forces you to get strong the right way, with the bar in your hands balanced on your feet. If you want to look strong, you have to get strong. And strong you’ll get from the deadlift. Chances are we’re on the same page here, and you’re just looking to learn how to get the most out of this remarkable exercise. You’ve probably also realized that there are many different opinions as to what constitutes proper deadlifting. Some people say you should use a wide stance (“sumo” style), and others say narrow (conventional) is better. Some say that rounding any portion of your back at all is going to get you injured, and others say that some back-rounding is fine. Still others say that you should start the lift with your hips as high as possible, whereas others say the opposite. And hell, some people claim that deadlifting is a one-way ticket to snap city regardless of how you do it and should be avoided altogether. Well, we’re going to get to the bottom of all of these claims (and more!) in this article. You’re going to learn how to deadlift with picture-perfect form, the top five deadlift variations that you should know about, and how to perform a simple, effective, and challenging deadlift workout that will get you results. Plus, you’ll learn 12 scientifically proven ways to increase your deadlift as well as answers to the 14 most common questions people ask about how to deadlift properly. What Muscles Does the Deadlift Work? 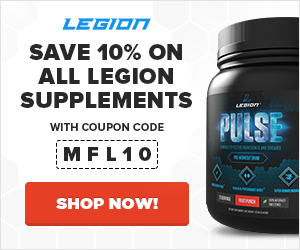 Don’t go to absolute muscle failure every set. Rest 3 to 4 minutes in between each set. Once you hit the top of your rep range for one set, move up in weight. Are Deadlifts Bad for Your Lower-Back? Can You Deadlift Even if You’ve Injured Your Back? Is Rounding Your Back While Deadlifting Bad? What Should You Do if Your Back Rounds While Deadlifting? Should You Bounce the Weight Off the Floor While Deadlifting? Should You Drop the Weight After Ascending? 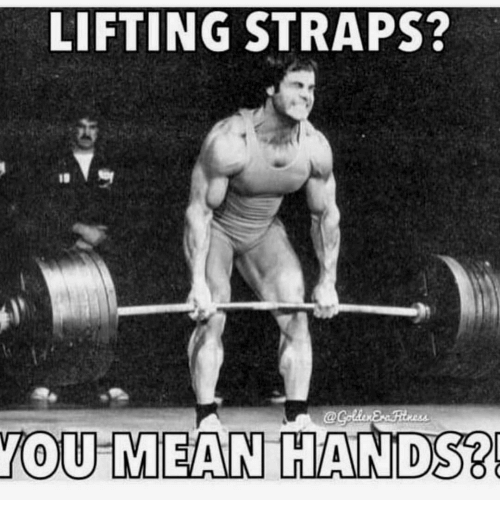 How Do You Protect Your Hands While Deadlifting? How Do You Protect Your Shins? Do You Need to Wear a Belt? Why Can You Deadlift More than You Can Squat? What Kind of Grip Should You Use? What Should You Do if You Can’t Hold Onto the Bar? Does the Deadlift Train the Back or Legs? How Much Should You Be Able to Deadlift? Most people consider the deadlift a “back exercise,” but it trains far more than just your back. In fact, it trains almost every major muscle group in your body, excluding your chest, arms, and shoulders. Specifically, it helps develop your . . . In reality, the deadlift is a full-body exercise that trains more or less every muscle in your posterior chain (the muscles on the backside of the body). Stand over the bar so that if you drew a line straight down from your shoulders, it would hit it. Position your feet about 6 to 12 inches apart. Take a deep breath, bend over, and grip the bar with both palms facing down. Position your hands just outside of your shins. Stare at a point about 6 to 10 feet in front of you and straighten your back. Still holding your breath, drag the bar up your shins until you reach your knees. As the bar passes your knees, push your hips forward and stand up straight. Return the bar to the floor by reversing the movement. If you want to know more about each step, and how to tweak your form to lift as much weight as possible, keep reading. The setup, where you position your body to pull as much weight as possible. The ascent, where you pull the weight from the floor to a standing position. The descent, where you return the weight to the floor in a way that safely prepares you for the next rep.
Every aspect of deadlift technique—whether it’s grip, foot placement, back angle, or anything else—can be filed under one of these three categories. Let’s go through each one in detail, starting with the setup. The deadlift starts with the bar on the floor, not on the rack or safety arms or pins. Walk up to the bar, position your feet so they’re slightly narrower than shoulder width apart with your toes pointed slightly out, and move the bar to the point where your shoulders are in line with or even slightly behind it. This will put the bar somewhere between against your shins and over the middle of your feet. For taller or skinnier people, it’ll probably place the bar against their shins. For shorter or thicker people, it’ll place it somewhere around the middle of the feet. Proper bar position is important because it allows for maximum leverage as you pull it up and back. If the bar is too close to your body and your shoulders are too far in front of it, you’ll have to move it forward on the way up to get it over your knees. If it’s too far from your body, you’ll feel like you’re going to fall forward and won’t be able to drive upward through your heels. Next, stand up tall with your chest out and take a deep breath of air into your belly (as opposed to your chest), bracing your abs as if you were about to get punched in the stomach. Then, move down toward the bar by pushing your hips back, just as you do in the squat. Arch your lower-back slightly and keep your shoulders down as you wedge yourself into what’s essentially a “half-squat” position. You should feel considerable tightness in your hamstrings and hips as you get into this position. This is desirable because as soon as your hips rise, your shoulders will be able to follow, and the weight will immediately start coming off the floor. Don’t make the newbie mistake of bringing your hips too low with the intention of “squatting” the weight up. The lower your hips are in the starting position, the more they’ll have to rise before you can lift the weight off the floor, which wastes movement and energy. 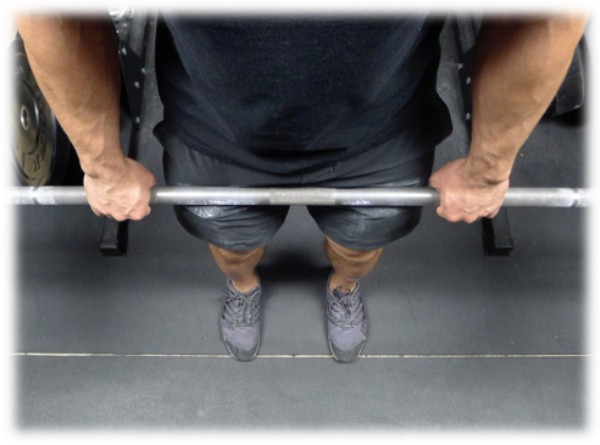 Next, place your hands on the bar with a double-overhand grip (both palms facing down) just outside your shins, and squeeze it as hard as you can. Keep your shoulders back and down and press your upper arms into your sides as if you were trying to crush oranges in your armpits. Your arms should be completely straight and locked, with enough room on the sides for your thumbs to clear your thighs as you ascend. Make sure your head is in a neutral position. Don’t look up at the ceiling or down at the ground. You’re now ready to ascend. Start the pull by forcefully driving your body upward and slightly back, onto your heels. Push through your heels, and keep your elbows locked in place and lower-back slightly arched (no rounding!). Ensure that your hips and shoulders rise simultaneously. Don’t shoot your hips up and then use your back like a lever to raise your shoulders. If your hips are moving up, your shoulders should be as well. The bar should move up your shins, and once it rolls over your knees, push your hips into the bar. As it begins to move up your thighs, you’ll feel your hamstrings and hips working hard as you continue to stand. The entire way up, keep your head in its neutral position in line with your spine, your lower-back slightly arched, and your core tight. Also, try to keep the bar on as vertically straight of a path as possible because any deviations are just going to slow you down and make it harder to maintain good form. The bar shouldn’t move noticeably toward or away from you. At the top, your chest should be up and your shoulders down. Don’t lean back, hyperextend your lower-back, or shrug the weight up. You’re now ready to descend. The next half of the deadlift is lowering the weight back down to the floor in a controlled manner. This is basically a mirror image of what you did to stand up. Begin by pushing your hips back, not bending at the knees, letting the bar slide straight down your thighs. Continue pushing your hips back, lowering the bar in a straight line until it has cleared your knees, and then drop it to the floor. Your lower-back should remain locked in its neutral position the entire time, and your core should remain tight. Don’t try to lower the bar slowly or quietly. The entire descent should take one to two seconds or less. You’re now ready for the next rep. Many people don’t stop to reset in between reps and instead use the tap-and-go transition, which has you maintain tension as you tap the weights to the floor and immediately begin the next rep. This is fine if you’re warming up, but I prefer the stop-and-go method for my hard sets. This method has you fully release the weight to the ground and reset your bottom position—including your breath—before starting the next rep. This is harder than tap-and-go, but that’s good, and it’s safer as well. You just learned how to perform what’s called the conventional barbell deadlift. If you only ever learned and trained with the conventional barbell deadlift, than you’d still be head and shoulders above most of the lifters in your gym. That said, there are a few other deadlift variations that are worth learning and trying. Depending on your anatomy, mobility, equipment options, and preferences, you may want to experiment with one or more of these variations in your training. The Romanian deadlift is similar to the conventional barbell deadlift, but it targets your hamstrings and glutes more than your back. The main differences between the Romanian and conventional deadlift are . . .
You can start with the bar in a power rack instead of on the floor (but don’t have to). Your legs remain pretty straight, bending only slightly at the knees to lower the bar. You lower the bar to just below your knees or when your lower back starts to round, and no further. There are also several other variations of Romanian deadlifts that you can do, including the single-leg Romanian deadlift, the dumbbell Romanian deadlift, and the trap-bar Romanian deadlift. I like to use the Romanian deadlift to train my hamstrings and glutes after my squats on leg day, and then I do conventional deadlifts on a separate day during the week. The sumo deadlift is like a conventional deadlift, except instead of placing your feet inside of your arms, you place them outside of your arms. For most people, this means placing your feet about twice as wide as you would for a conventional deadlift. Your toes will naturally point out to the side more. Your hands will likely grip the bar closer together. Your hips will be closer to the bar when you begin the movement. Some people say that the sumo deadlift is easier than the conventional deadlift, but that’s not entirely accurate. Although the bar travels about 20% less during the sumo deadlift, studies show that it produces about the same amount of total muscle activation as the conventional deadlift. If it was significantly easier, then you’d expect all of the top powerlifters in the world to pull using a sumo stance, but most of them (Eddie Hall, Hafthor Bjorrnsson, and Brian Shaw, to name a few) pull conventionally. It doesn’t really matter whether you deadlift sumo or conventional, but conventional has the advantage of being easier to learn for most people. That’s why I recommend you learn how to deadlift using a conventional stance first. If you want to try something different or if it’s still uncomfortable after a few months of lifting, then learn how to sumo deadlift. The stiff-leg deadlift is more or less identical to the Romanian deadlift, except you start each rep from the floor instead of from pins or a rack. The only significant difference between the stiff-leg deadlift and the Romanian deadlift is that you have to move the bar about six to eight inches further during the stiff-leg deadlift. As a result, it requires greater hip mobility and hamstring flexibility than the Romanian deadlift. It’s harder to learn for people who are new to strength training. This is why I recommend that most people stick with the Romanian deadlift to train your hamstrings and glutes. The trap bar—or hex bar—deadlift is the same as the conventional deadlift except it’s performed with a trap bar, which makes it easier to get into position and maintain your grip. This style of deadlifting is more comfortable for most new lifters, which is why it’s often used to introduce people to the deadlift. The downsides of the trap bar deadlift are that it requires more balance and not all gyms have trap bars. All in all, it’s a perfectly suitable alternative to conventional deadlifts. I like to alternate between conventional and trap bar deadlifts every 12 to 16 weeks, mainly to give my hips, lower-back, and knees a break and keep my training interesting. The dumbbell deadlift is more or less the same movement as the conventional barbell deadlift, except you use a pair of dumbbells instead of a barbell. If your gym doesn’t have a power rack or you can’t or don’t want to do the traditional Romanian deadlift for whatever reason, then you can use dumbbells instead. Some people also prefer the dumbbell variation because it allows your shoulders to be in a more natural position, but the downsides are most people can’t lift as much weight with dumbbells and struggle to keep them from wandering around as they move up and down. This is why I recommend that you stick with a barbell when deadlifting if possible..
You now know how to deadlift. You know the best variations. Here’s a simple and effective deadlift workout that incorporates several of the variations you just learned as well as some additional exercises to target the hamstrings. Warm-up and . . . Muscle failure is the point where you can no longer keep the weight moving and have to end the set. We should take most of our sets to a point close to failure (one or two reps shy), and we should rarely take sets to the point of absolute failure. Personally, I never train to failure for more than two to three sets per workout, and never on the deadlift, squat, bench press, or military press, as it can be dangerous. Instead, I reserve my failure sets for isolation exercises like hamstring curls, leg extensions, calf raises and the like, and it’s usually a natural consequence of pushing for progressive overload as opposed to deliberate programming. For instance, if you deadlift 135 pounds for 6 reps on your first set, add 5 pounds to each side of the bar for your next set. If, on the next set, you can get at least 4 reps with 145 pounds, that’s the new weight you work with until you can deadlift it for 6 reps, move up, and so forth. If you get 3 or fewer reps, though, reduce the weight added by 5 pounds (140 pounds) and see how the next set goes. If you still get 3 reps or fewer, reduce the weight to the original 6-rep load and work with that until you can do two 6-rep sets with it, and then increase the weight on the bar. No matter what you do with your diet and workout programming, your training is going to plateau from time to time, and especially on a big, technical lift like the deadlift. I wish it weren’t the case, but it simply gets harder and harder to gain muscle and strength the closer to come to your genetic potential, and that inevitably involves falling into and climbing out of ruts. That’s where these 12 strategies come in. They’ll not only help you break through stagnation, but also help prevent it in the first place. You really can’t overemphasize proper technique when it comes to deadlifting. 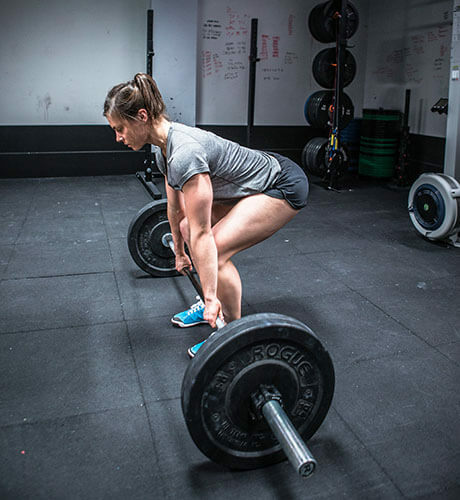 It may look simple enough, but there’s a lot more going on than meets the eye, which is why even the world’s best weightlifters are constantly playing with their grip, foot position, timing, cues, and the rest of it to improve their performance. This is also why many people who aren’t progressing on their deadlift can benefit from auditing their form. Of course, step one would be going through the steps listed earlier in this article and making sure the fundamentals are in. Crush the bar with your hands. Push the floor apart with your feet. Rip the bar off the floor. Force your hips under the bar. Crush oranges in your armpits. It’s also tremendously helpful to have someone video you from several angles while deadlifting so you can compare yourself to a model, like the videos shared earlier in this article. Look closely at how you’re moving in each phase of the deadlift versus the model, make notes of what you see to be different, and work on improving them one at a time in the gym, with lighter weights and on camera, until you’re mirroring the expert. Some people think they “just aren’t built for deadlifting” because they can’t get their form right. This is nonsense. With the right know-how and instruction, everybody who’s generally healthy and functional can deadlift safely and effectively. For example, I have long legs, and it’s more comfortable for me to have my feet about six inches further apart than most people. The most common reasons people believe they can’t deadlift is poor lower body mobility—and particularly ankle and hip mobility—and hamstring inflexibility, and both of which can be easily corrected. There’s something else you should know, too. The deadlift, and the conventional deadlift in particular, is supposed to feel tight and somewhat uncomfortable in the starting position. You want to feel tightness in your hamstrings, hip flexors, and lower back when you’re setting up to pull. So, if you can get into position but it doesn’t feel natural or comfortable . . . welcome to club. That said, if you simply can’t get into proper position to pull without pain or serious discomfort, then you probably need to work on your mobility. “Bracing” refers to creating and maintaining tightness in your body while performing an exercise. In weightlifting circles, this generally refers to how well you can trap air in your torso and hold it in under heavy loads. This creates what’s known as intra-abdominal pressure, which helps stabilize your body, keep your torso rigid, and maintain a neutral spine position while deadlifting. The bottom line is you should be holding your breath during heavy deadlifts because if you don’t, you won’t be able to lift as much weight. So, how do you brace properly? Between every rep, take in a breath that fills your lungs to about 80% of their maximum capacity, drawing the air deep into your stomach, press your tongue against the roof of your mouth, and don’t let that air out until you’re past the hardest part of the lift. In the case of the deadlift, this “sticking point” is usually around knee level for most people. There’s a never-ending debate as to the “ideal” rep range for building muscle (and they’ll probably never be a pat, one-size-fits-all answer), but there’s little argument about the fact that heavy lifting is best for getting stronger. How heavy is “heavy,” though? Well, the “strength” spectrum of usually starts around 80 to 85% of your 1RM), or the 4-to-6-rep range, and goes up from there in terms of weight (and down in terms of reps). What this means is if you’re currently doing the majority of your deadlifting with lighter weights—70 to 75% of 1RM or lighter, for example—you’re going to benefit greatly by emphasizing heavier lifting instead (80 to 85% of 1RM for 4 to 6 reps). This is true of most compound exercises, but particularly the deadlift, which doesn’t play nicely with higher rep ranges mostly because of how difficult it is. The deadlift involves far more muscle mass than most other exercises, which makes higher-rep sets extremely challenging, and it’s also a purely concentric (raising/contracting) exercise, which actually makes it harder than exercises that involve both a concentric and eccentric (lowering/stretching) phase. This second point is worth covering in more detail. During most exercises, you benefit from a phenomenon called the stretch-shortening cycle, which is the stretching of a muscle followed by an immediate contraction. This allows muscles to generate more force when they contract, improving performance. Researchers still aren’t sure exactly why this is, but it’s possible that muscles can store some of the energy generated by the stretching and use it as a “boost” while contracting. In other words, if you immediately contract a muscle after lengthening it, you’re going to generate more force than if you contract it without stretching it first. In weightlifting, this means that you’re going to be stronger when the stretch-shortening cycle is involved than when it isn’t. For example, you’ve probably noticed that you’re weaker on the bench press if you pause the bar on your chest before continuing to press it upward. This is because pausing neutralizes the “rebound effect” of the stretch-shortening cycle, making the concentric part of the lift more difficult. This is also what happens when you reset after every rep during the deadlift (which you should be doing). The stretch-shortening cycle isn’t activated, which makes each rep maximally difficult. That said, you don’t have to completely avoid 10+-rep work when deadlifting, but I prefer to save it for deadlift variants like Romanian or stiff-leg deadlifts, which are easier because they trigger the stretch-shortening cycle. Aside from a barbell, you don’t need any special toys to deadlift properly. If you want to get the most out of your deadlifts, though, then a few pieces of equipment are extremely helpful. Yeah yeah, I know . . . While it’s impressive when people can pull gargantuan weights without straps (“raw” as it’s called in powerlifting circles), there’s nothing wrong with using them for our purposes. Many people shy away from straps because they look at it as a form of “cheating” and making the deadlift “easier,” or they think that it will eventually limit your progress by undertraining your grip strength. I wouldn’t advise someone new to weightlifting to strap from set one on, forever, but I disagree that straps don’t have a place in any serious weightlifter’s bag. When used properly, straps allow you to safely pull more weight (making the deadlift harder on the rest of your body) without any of the downsides of other grip styles. Straps help by keeping the bar tight against your hands, preventing roll and allowing you to maintain a solid grip on it. They also protect your hands from the rough knurling of the barbell. They shouldn’t be necessarily viewed as a crutch, either. Yes, some people do choose to use straps instead of developing their grip strength, but that doesn’t mean that everyone should avoid straps altogether. Once you’ve gained a respectable amount of strength in the deadlift and drilled in correct form, there’s no reason why you shouldn’t use straps if you find it more comfortable. I like the Harbinger Padded Cotton Lifting straps because they’re comfortable, cheap, and durable, but you can also find rubber or leather options. Use whatever you prefer. What do most people deadlift in? Their squishy soles allow your feet to wiggle and shift under heavy loads, forcing you to waste precious energy stabilizing yourself that could be spent on, you know, deadlifting. Their their fragile sidewalls also stretch (and sometimes tear) when you torque your feet against them. Their flimsy laces also don’t hold your feet in the proper position. That’s why I highly recommend you pick up a pair of good weightlifting shoes. They provide a stable, hard surface to help with balance, which is particularly important with exercises like the deadlift, squat, and overhead press. They provide a snug fit that keeps your feet from wiggling around—saving energy and even helping to prevent injury—and they allow you to easily “screw” your feet into the ground (a good cue for maintaining whole-body tension throughout each set). And they provide good traction so your feet don’t slip or shift. The bottom line is the right weightlifting shoes not only improve your performance, but they reduce the risk of injury and make your lifts more enjoyable as well. Multiple studies have shown that a weightlifting belt can improve your performance on key exercises like the deadlift and squat, but it probably doesn’t reduce your risk of injury. I’ve spent long periods of time deadlifting with and without a belt and there’s no question: when used properly, you’re stronger with a belt. And as whole-body strength is closely related with muscularity (the stronger you get, the bigger you get, generally speaking), a weightlifting belt can help you gain muscle faster over the long haul. 5 Studies Answer: Should You Use a Weightlifting Belt? My favorite weightlifting belt for deadlifting is the Inzer Forever Lever belt. In all seriousness, shin scraping while deadlifting is more than just unsanitary and uncomfortable. It can also make it harder to do the exercise properly. In order to pull as efficiently as possible, you want to drag the barbell up your shins, knees, and thighs. If you try to hold the barbell in front of your legs to avoid scraping, you’ll waste energy keeping the bar on a straight path. Instead, a better option is to wear a pair of knee sleeves over your shins. You could also wear pants or tights, but your pants will get ruined (fast), and pants can get very warm (a fountain of nether-sweat is yucky). A little bit of mental preparation can make a big difference in your weightlifting. Instead of moseying on over to the weights with your mind elsewhere, get pumped up and excited (the right music can help a lot). Research shows that doing this can increase force production (and on the flip side, that distraction can significantly decrease force production). Another simple but effective mental “trick” for increasing strength is visualizing yourself successfully performing your sets before you do them. Many trainers and coaches promote super-slow reps as best for building muscle and strength, but research shows the opposite is actually better. A study conducted by scientists at the University of Sydney found that subjects following traditional “fast” training on the bench press gained more strength than slow training. A study conducted by scientists at the University of Connecticut found that very-slow training resulted in lower levels of peak force and power when compared with a normal, self-regulated tempo. A study conducted by scientists at the University of Wisconsin found that even in untrained individuals a traditional training tempo resulted in greater strength in the squat and greater peak power in the countermovement jump. A study conducted by scientists at the University of Oklahoma found that four weeks of traditional resistance training was more effective for increasing strength than super-slow training. Furthermore, research shows that, when bench pressing, lowering the bar quickly (one second) and, without pause, then exploding it upward results in greater power gains than a slow descent followed by a pause and explosive ascent. So, don’t rise slowly when you deadlift. Explode upward as quickly as you can while still safely controlling the bar. If you want to get better at something, you want to do it more frequently. This applies to pretty much everything in life, including deadlifting. The more you deadlift, the faster you’re going to improve your technique, which will translate into faster muscle and strength gain. This is why every powerlifting program worth a hoot has you deadlifting, squatting, and/or bench pressing multiple times per week. Many bodybuilding/”aesthetic” programs, like my Bigger Leaner Stronger (men) and Thinner Leaner Stronger (women), do as well. So, if you’re currently deadlifting once per week and are stuck, increasing frequency to deadlifting twice per week can be enough to break through. Keep in mind, however, that the more frequently you do an exercise—and especially a whole-body exercise like the deadlift—the easier it is to run into symptoms related to overtraining. Changing your exercises too frequently can hurt your progress because it means having to constantly learn new exercises and reacquaint yourself with familiar ones. Generally speaking, focusing most of your training efforts on getting really good at fewer exercises is going to pay better dividends over time. That said, pounding away at the exact same exercises for months or years on end can also be counterproductive. As you learned earlier, different kinds of deadlifts emphasize different muscle groups, and therefore rotating through them systematically can prevent slight muscle imbalances that can get in the way of progress. For example, let’s say you’ve been conventional deadlifting for months and have hit a plateau. Instead of continuing to grind away at it, you could switch to trap bar deadlifts for 8 to 12 weeks to improve your quad and upper back strength, and then return to conventional deadlifting and find it stronger than before. Doing the exact same exercises for months on end can also get boring, and the less interested you are in your training, the less effective it’s likely to be. Personally, I like to change my main compound movements roughly every 8 to 12 weeks, depending on what I’m doing with my diet and how things are going. Whenever someone complains about not gaining weight, size, or strength, my first suspicion is they’re not eating enough food. And I’m usually right. If you want to gain muscle and weight as quickly as possible, then you need to eat enough calories. For example, I know that I need to eat somewhere between 3,100 and 3,300 calories per day to consistently gain weight. If that sounds like a lot of food to you, it is. It only goes up from there, too. By the end of my lean bulks, I’m usually eating upward of 4,000 calories per day. I can’t complain, though because I’ve seen much worse. I’ve worked with hundreds of “hardgainers” that couldn’t gain a single pound until their daily intake exceeded 4,000 to 4,500 calories, seven days per week (no missing meals on the weekends!). So, the takeaway here is simple: increasing your calorie intake is an easy way to get your numbers, both weight and strength, moving up. What you don’t want to do, however, is bludgeon your metabolism with a truckload of food every day. This can certainly help with strength and muscle gain, but you’re also going to gain a lot of fat a lot faster than you’d like. As a natural weightlifter, your number one goal should be increasing your whole-body strength over time. So long as you make that your primary focus in your training, you’ll have no trouble gaining the size you want. The reason for this is while you can gain a fair amount of muscle in the beginning without gaining much strength, once you graduate to an intermediate lifter, strength and size become closely correlated. In other words, once your “honeymoon phase” is over and your body is no longer hyper-responsive to resistance training, you’re going to have to get a lot stronger if you want to continue getting bigger. You work in a given rep range until you hit the top for one, two, or three sets, and then you add weight to the bar—usually 5 pounds to each side (or per dumbbell if it’s not a barbell exercise)—and work with that new, heavier weight until you can move up again, and so on. Sometimes this doesn’t work, though, and you find yourself stuck at a given weight and rep count for several weeks. This is where “microloading” can help, which is a fancy term for adding less than 5 pounds to the bar. For example, let’s say you’re following a strength training program that dictates three sets of 5 reps before adding weight to the bar, and you’ve been stuck at 5 x 5 x 4 for several weeks now. You’ve tried moving up 10 pounds anyway, but can only get 2 reps with good form. In this case, you can use smaller (“fractional”) plates to increase the weight on the bar by just 5 or even 2.5 pounds, which may allow you to get the reps you need. So, let’s say you increase the weight by just 2.5 pounds (227.5 total pounds) and get 4 reps.
You can now work with this weight until you can deadlift it for three sets of 5 reps, and then add another 2.5 pounds to the bar (230 total pounds), work with it until you can move up, and so forth. I recommend these fractional plates from Ader Fitness. Once you’ve been lifting for a few months, you’ll realize that you often tend to fail during exercises in more or less the same spot of the movement. In the case of the deadlift, your “sticking point” might be a few inches above the ground, right at knee level, or a few inches short of standing up with the bar. You can usually work your way through a sticking point with the other tips on this list, but sometimes they’re caused by one or more underdeveloped muscle groups failing before the rest of the prime movers. And when it comes to pulling, this usually means inadequate back and forearm strength. When this is the case, you can add some specific exercises to your routine to strengthen your back and forearms. For the back, I like Romanian deadlifts, front squats, back hyperextensions, glute-ham raises, and good mornings. You can do these exercises on your “pull days” along with your primary deadlifting, or on separate days if you prefer. If you do them on separate days, allow at least two days of recovery between the days you deadlift and days you do these other exercises. My favorite forearm/grip exercise is the plain ol’ barbell hold, which is exactly what it sounds like: holding onto a heavy barbell. Using a squat rack, place the bar at your knees and load it with a weight that you can hold for no more than 15 to 20 seconds. Do 3 sets of 15-to-20 second holds, resting for 3 minutes in between each set. Do this once or twice per week at the end of your workouts, separated by 2 to 3 days. You can summarize the deadlift as “picking a barbell up and putting it down,” but it’s far more technical than many people realize. It requires a carefully coordinated sequence of actions and positions, and there are many different ways to go about it. There are also many different opinions on how safe the deadlift is, how you should do it to gain strength and muscle, what equipment you should use, and so forth. Here are my answers to 14 of the most common questions I hear about the deadlift. No, not if you do them properly. The deadlift places a lot of stress on the lower-back, but research shows that doesn’t mean it’s bad for it. The first study in support of this was conducted by scientists at the University of Valencia to determine the most effective way to train the paraspinal muscles, which run down both sides of your spine and play a major role in preventing back injuries. Group one performed bodyweight exercises like lumbar extensions, forward flexions, single-leg deadlifts, and bridges. Group two performed two weighted exercises, barbell deadlifts and lunges, using 70 percent of their one-rep max. Muscle activity was measured using electromyography—a technique of measuring and analyzing electrical activity that occurs in the muscles when they contract—and the deadlift most activated the paraspinal muscles, and won by a long shot. The researchers’ conclusion, then, was that the deadlift is a remarkably effective way to strengthen these muscles. Another insightful study on the matter was conducted by scientists at the University of Waterloo to determine how much strain the deadlift put on the back—the lower-back in particular—and how likely it was to produce injury. 1. Leaning as far forward as possible, bending over from the waist and then returning to an upright posture (fully flexing and extending their backs). This allowed the researchers to measure the limits of the powerlifters’ natural range of motion. 2. Deadlifting a weight close to their one-rep max, which worked out to 400 to 460 pounds. The researchers used real-time X-ray imaging (called videofluoroscopy) to watch the lifters’ spines while they completed both tasks. Many deadlifting injuries occur because of too much low-back bending, which can pull vertebrae out of position, pinch and compress intervertebral cartilage discs, and strain low-back ligaments. So the scientists measured each of those things—how much the participants’ vertebrae moved, how much their spinal discs were pinched and compressed, and how much their low-back ligaments were stretched. 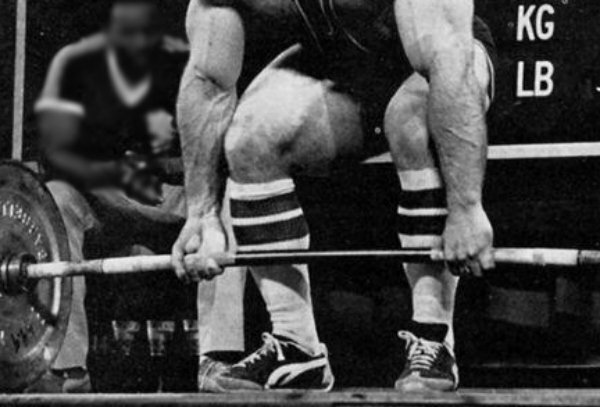 The examination found that the deadlift was completed within the weightlifters’ natural range of motion, and that there were no signs of excessive vertebral shifting, pinching of the intervertebral discs, or pulling of the low-back ligaments. Thus, the researchers concluded that the deadlift is a fantastic exercise for strengthening your entire back, including your lower-back, and doesn’t force an unnatural range of motion or put excess strain on your spine or joints. While this is a rather extreme example, the point is rounding your lower-back while deadlifting is a major no-no, as it shifts much of the stress away from the powerful erector spinae muscles (which run alongside your spine) to the vertebrae, intervertebral discs, and ligaments. Perform the exercise correctly, however, and you have little to worry about and much to gain. Many people who once thought they were forever done with deadlifting due to injury were able to get back to the bar by learning proper technique and gradually adding weight over time. It’s not hard to find people who have ruptured discs, torn ligaments, or undergone multiple invasive surgeries who were able to recover and then smash old personal records on the deadlift. So, before assuming that you can’t pull because you’ve injured your back, talk with a good sports medicine doctor who works with competitive weightlifters. Chances are they can help you get back on your feet with a barbell in your hands. You’ve likely heard that you should maintain a neutral spine while deadlifting, squatting, or doing just about any weightlifting exercise. Fail to keep your spine in its natural, resting curvature, we’re often told, and we’re playing with fire. There’s some truth here, but it’s not as cut-and-dried as many people claim. Some studies do show that hoisting heavy loads with a rounded back can cause excess wear and tear on joints and may increase the risk of injury. Specifically, research shows that it may increase the risk of rupturing the discs between your vertebrae, tearing cartilage, and fracturing vertebrae. The heavier the weights used, the greater the risk seems to be, too. It should also be noted, however, that all of these injuries can also occur when you’re deadlifting with a neutral spine. In fact, several studies have found that the risk of injury from exercising with a rounded back isn’t any different from exercising with a neutral back. What’s more, much of the research on this topic have been done on animals or cadavers (dead people), which aren’t good surrogates for us humans who can still put fog on a mirror. All of that said, most evidence suggests that your chances of getting injured while deadlifting with a rounded spine are slightly higher than they are when deadlifting with a neutral spine. This is why the general consensus among top scientists is that it’s better to play it safe rather than end up sorry. So, the bottom line is that deadlifting with a rounded spine isn’t a guaranteed injury, and deadlifting with a neutral spine isn’t a guaranteed pass. My advice? Keep your spine as neutral as you can while pulling, but don’t worry too much if it flexes a little from time to time. If you can’t stop your back from rounding, the solution is simple: Use less weight. Seriously—if your back rounds more than a couple of degrees at any point during the movement, and you aren’t deadlifting at least 1.5 times your own body weight, chances are that you just need to drop the weight and work your way back up with strict form. That said, if you are deadlifting 1.5 times your body weight and you still struggle with back rounding, then you may need to improve your hamstring flexibility or incorporate certain exercises into your routine to further strengthen your back muscles. For hamstring stretching, I like simple stuff like toe touches, cross-leg toe touches, and hurdler stretches. Just make sure you do these after your workouts, and not immediately before, which can decrease your strength. For back-strengthening exercises, I like Romanian deadlifts, front squats, back hyperextensions, glute-ham raises, and good mornings. Bouncing the weight while pulling allows you to do more reps with more weight, but only because it makes the exercise easier. This strategy also makes it harder to track your progress, because some reps are inevitably going to bounce more than others. That said, as long as you’re deadlifting with good technique, bouncing the weight isn’t dangerous. It just doesn’t have any advantages over resetting between every rep.
No, but you shouldn’t lower it slowly either. It can damage the floor if you aren’t using a deadlift platform. It’s loud and annoying to be around. It could increase your risk of injury if you use sloppy technique. You also don’t want to descend too slowly, though, because it wastes energy that you want to give to the upward portion of the lift, which is far more important for strength and muscle gain. Instead, you want to quickly lower the weight in a straight line to the floor while keeping your hands on the bar. He isn’t just dropping the bar from the top, but he also isn’t slowly and carefully lowering it to the floor, either. When you first start deadlifting (and lifting in general), your hands are going to take a beating, mostly in the form of blisters and scrapes. Many people wear gloves to prevent this, but this also makes it much harder to hold onto the bar and will eventually limit how much you can pull (I’ve never seen someone lift more than 315 with gloves). Use chalk. Chalk absorbs sweat and increases friction, which helps prevent your hands from slipping and your skin from tearing. Use straps. This improves your grip while adding a layer of protection between your skin and the bar. Use medical tape. Some lifters wrap their thumbs and fingers with medical tape before their heavy sets to protect calluses from tearing or prevent them from forming. Wear pants. This is an easy solution, but it also can ruin your pants and means you have to wear pants the rest of your workout or change into shorts. Not my favorite method. Wear long socks. This is a cheaper and more comfortable way to protect your shins than wearing pants, but it doesn’t provide as much protection. Wear knee sleeves or shin guards. The former (sleeves) is my preferred option. Knee sleeves are made of thick neoprene, so they offer even more padding than pants, and they’re easy to take off and on. I like the ones from Rehband, but SBDs are also popular. No, but it helps you lift more weight and thus likely contributes to more muscle gain over time. Studies show that wearing a belt while lifting helps you complete each rep faster and do more reps in each set, get through the toughest part of the exercise faster, and in the case of the deadlift, get the bar off the floor quicker. You may have also heard that wearing a belt decreases activity in your core and lower-back muscles, making the exercise less effective. If we turn to the scientific literature, though, we find the opposite is true. In most studies, deadlifting and squatting with a belt either increases muscle activation or results in the same levels of muscle activation as doing these exercises beltless. For most people, this is simply a matter of practice. Most of us have been reaching down and picking stuff up all our lives, but only started squatting once we started lifting weights. As a result, the deadlift often comes more naturally to new lifters. It’s also common for lifters to neglect their lower bodies and focus on training their upper bodies, which is going to improve your deadlift more than your squat. Squatting and deadlifting similar weights shouldn’t be the exception. There’s no reason that it can’t be the norm if you know how to train the squat. Even if you’re built really well for the deadlift, a gap larger than 20% [deadlifting more than you squat] probably means you need to put some serious work in on your squat, and that your squat has plenty of room to improve. If you mainly want to focus on developing your upper body and can live with enough leg development to look good in shorts (*raises hand meekly*), then being able to deadlift more than you squat is fine. This is the easiest way to learn, has the least potential for injury, and tends to be the most comfortable option for new lifters. First, use chalk if you aren’t already. Second, make sure you aren’t making reps take longer than they need to. Remember to rise explosively and reset rapidly. Review the section above on how to deadlift with proper form to make sure you pull the bar in a more or less straight line as fast as possible. Third, experiment with different grip styles. If you’re using a double overhand grip, try using a mixed grip or double overhand grip with straps. If you’re already using a mixed grip or straps, and you still have trouble holding onto the bar, then you need to improve your grip strength. My favorite grip exercise is the plain ol’ barbell hold, which is exactly what it sounds like: holding onto a heavy barbell. Although the deadlift is often considered a back exercise, it also trains the glutes, hamstrings, and hip flexors, as well as the quads and calves to a lesser degree. A good rule of thumb is that you should be able to deadlift 2 times your body weight for one rep within your first two years of weightlifting. How quickly you get there will mostly depend on your limb proportions (deadlifting is harder for guys with long legs), how your muscles attach to your bones, and how much you focus on the deadlift versus other exercises. It trains almost every major muscle group in your body, including your back, glutes, hamstrings, quadriceps, calves, and forearms. Stand over the bar so that if you drew a line straight down from your shoulders it would hit the bar. And that’s a wrap! Off to the barbell with you! What’s your take on how to deadlift? Have anything else to share? Let me know in the comments below!